Taking advantage of Supportworks’ configurability and out-of-the-box functionality, a busy IT Service Delivery function has achieved huge advances in efficiency and transparency from day one of being live. 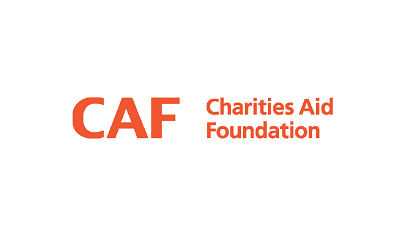 Charities Aid Foundation (CAF) is a charity that helps people and businesses support the causes they care about, and provides financial and fundraising services to charities, freeing them up to concentrate on the real work of making a difference. For 90 years, CAF has offered the most effective and efficient ways to connect donors to the causes that matter to them, and for money to get to where it’s needed. Around 450 staff work for CAF across two sites in Kent and London, with a further 150 people working in international offices. Digital services are increasingly important to CAF. Through its two websites, CAF helps individuals and businesses to give money regularly from an online account, or occasionally through one-off debit and credit card and PayPal transactions. It also provides secure online banking and fundraising services to charities. The growing importance of IT makes service management a priority. Over 350,000 customers rely on two customer service teams to help them with their banking and charitable giving needs. Additional customer service teams support CAF’s 450 employees. IT Service Delivery leaders therefore started to look for a replacement product. They initiated a formal Request For Information (RFI) process, which led to a detailed market survey. From the demos of shortlisted products, Supportworks stood out as meeting the requirements closely – and being able to do so out of the box, without customisation. CAF went live with Supportworks late in 2014. It is used by around 25 individual staff working on everything from front-line support through to infrastructure. Around 80% of CAF’s 450-strong workforce log support calls through a self-service portal. As expected, Supportworks is enabling CAF to fulfil its service delivery ambitions, and is doing so “out of the box”, with configuration but no customisation of the code. Supportworks’ reporting capabilities facilitate CAF’s maturing ITIL processes, resulting in greater transparency of ITSM activity plus major efficiencies. CAF’s previous self-service portal didn’t make it easy for users to find a given service, as they had to search through all of the many services available, only a few of which were of interest to a given business area. With Supportworks, it’s been possible to tailor menus to specific areas so that users see only the services that they’re likely to be interested in. Once they’ve chosen one, wizards help them input all the relevant information. statistics via a customised dashboard on an intranet page. Supportworks routes tasks around the IT department so that they rapidly reach the people best equipped to deal with them. Some tasks logged on the portal bypass the service desk – for example, if someone needs a new starter to be set up on the system the request goes straight to the operations team. It can be time-consuming to set up new starters, making sure that they have access to the right systems and facilities. Prior to implementing Supportworks, CAF’s process had relied on cloning existing profiles, but this method was labour-intensive and error-prone. Now managers simply input a service request, allocating the user to a predefined role associated with appropriate access privileges; the operations team within customer service takes care of the rest. This facility hadn’t been on CAF’s original “shopping list” but when they realised it was possible they decided that it was so useful that it should be part of the initial implementation. In fact, much of the value derived from Supportworks so far has come from automating the processes for starters, movers and leavers, eliminating eight or nine paper forms that used to have to be completed. There are plans to implement further ITIL processes in the near future, including change and problem management. All these processes are already present within the Supportworks system and just need to be turned on whenever CAF is ready. In addition, many users are now identifying needs that can be met by creating new types of service request within Supportworks, as was done for the role-based access controls. This is a way to eliminate many paper-based processes, a recent example being a request for a new device, such as a mobile phone. CAF has adopted an agile methodology and collects changes from a “backlog” into monthly “sprints” so that change is incremental. Supportworks lends itself to this approach because CAF has complete control over its configuration. From the outset CAF was struck by the Hornbill people’s knowledge of Supportworks, and their enthusiasm for it. The two organisations have gone on to form a productive working relationship. During implementation, Hornbill provided expert guidance so that CAF’s implementation team was able to configure the solution themselves. Where necessary, Hornbill staff would sign on remotely and demonstrate a feature. Hornbill continues to provide advice and encouragement, for example with product updates and workshops on specific features. Needed a solution that can be configured in-house to meet performance reporting and other needs without expensive customisation. - Supportworks has met and exceeded the CAF team’s expectations from day one. - Communication with customers has improved through dashboards showing performance against service level agreements (SLAs) and key performance indicators (KPIs). - The self-service portal can be easily navigated via custom menus, then wizards ensure the correct data is captured. - CAF keeps finding new uses for Supportworks, e.g. service requests can meet various needs ranging from role-based access management to orders for mobile devices. - The Supportworks configuration can be updated in monthly sprints using an agile project management approach.